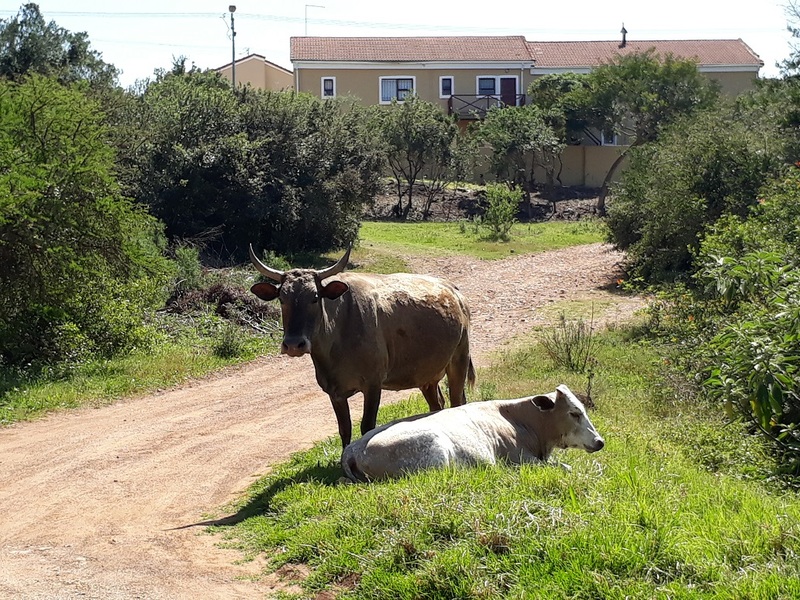 Members of the Urban Herd. 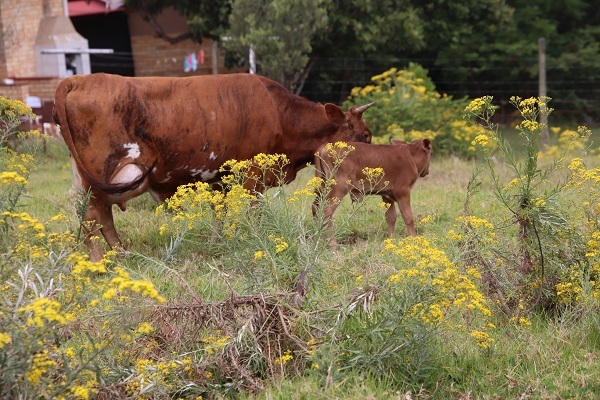 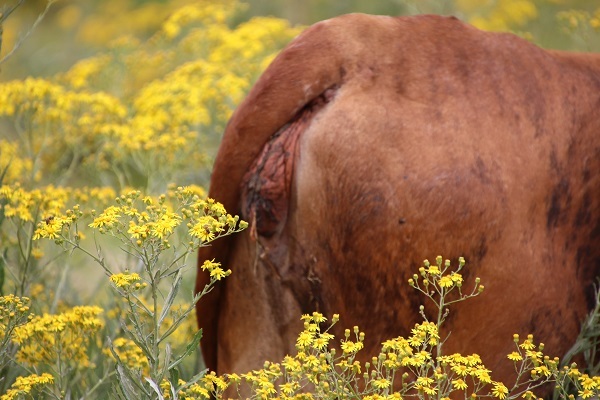 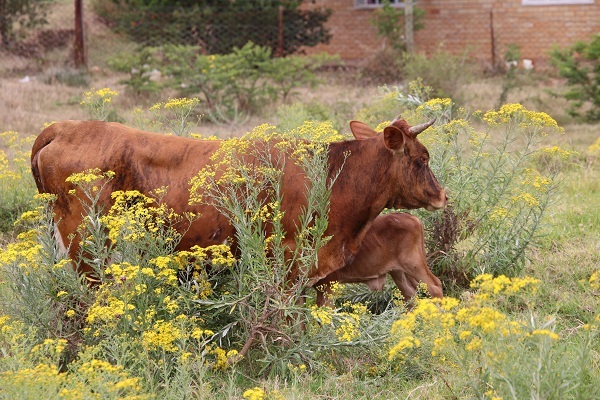 This cow, a member of the expanding Urban Herd, gave birth unaided in the middle of a patch of Senecio flowers growing on some open ground outside some houses in the middle of a suburb. 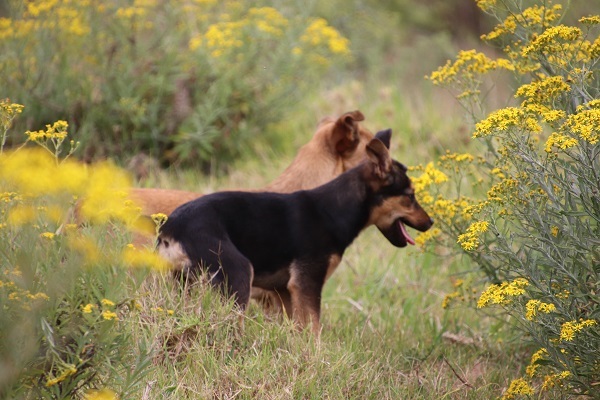 In no time at all, two local dogs came sniffing around. 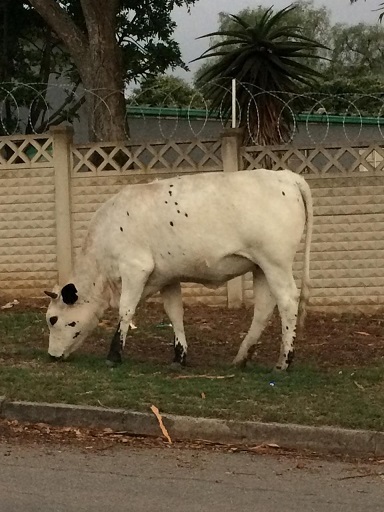 The cow was still raw. 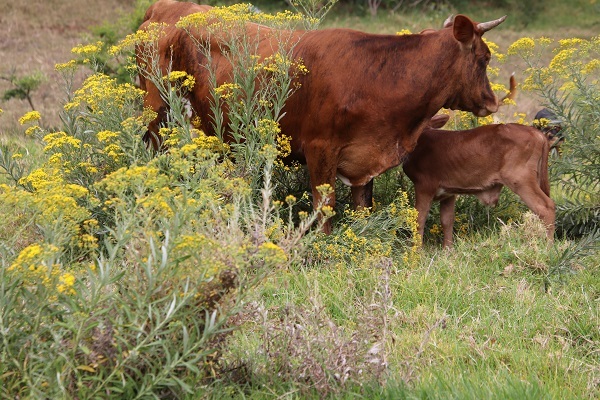 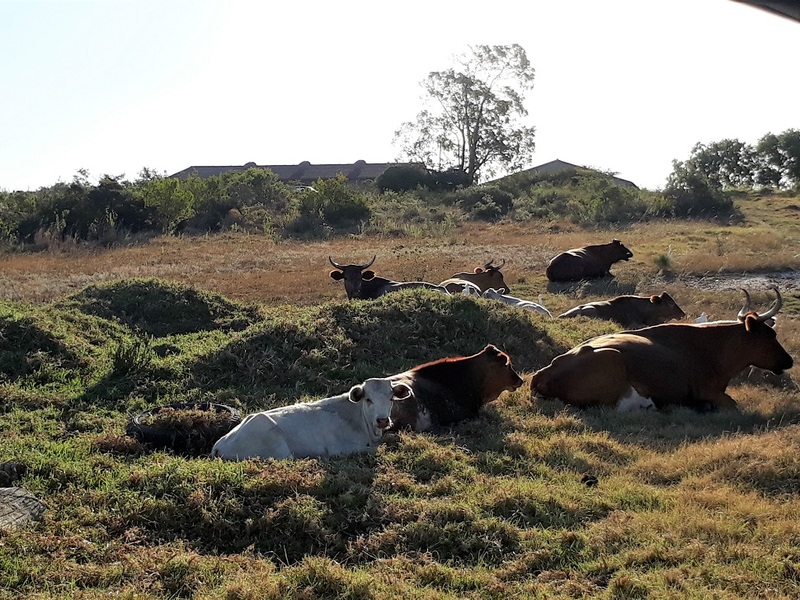 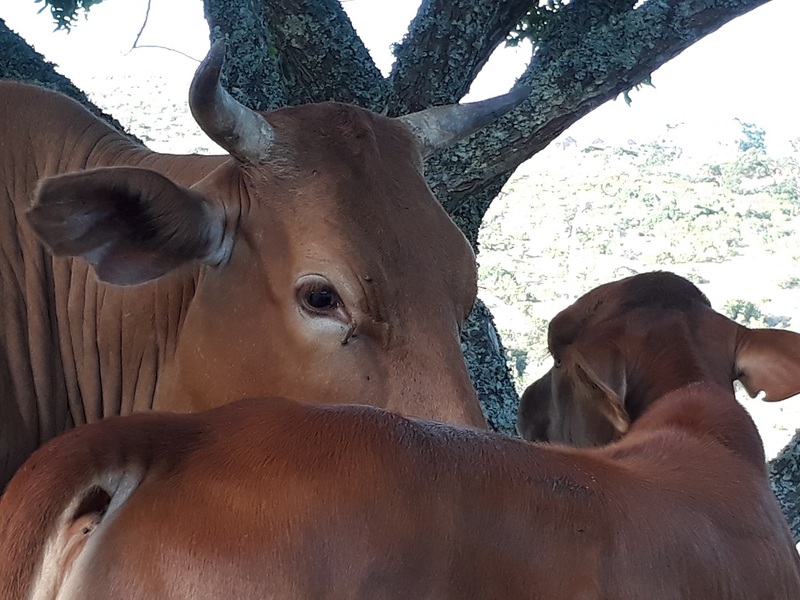 While she must have already eaten her placenta, the dogs seemed to be particularly interested in something in the patch of flowers once the cow and her calf had moved away. 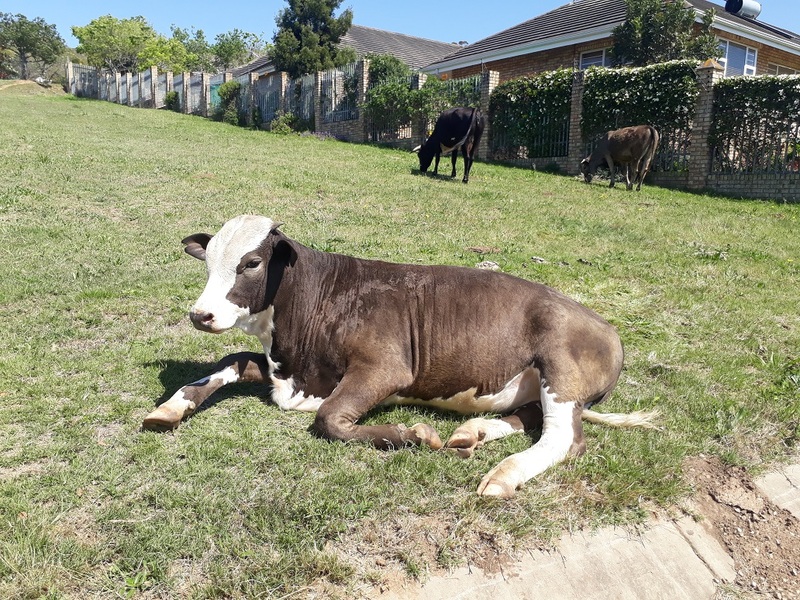 By then she had endured enough of their unwelcome attention and nudged her calf towards the relative safety of a nearby park. 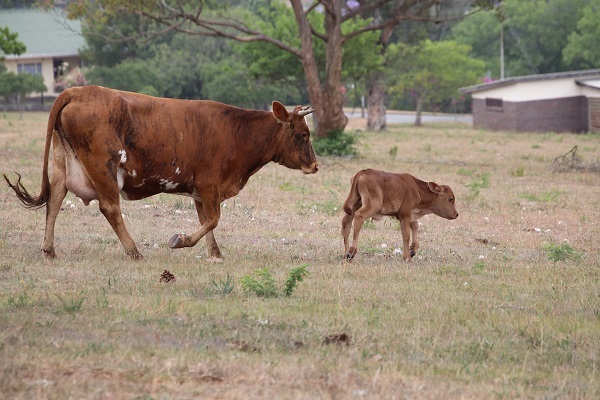 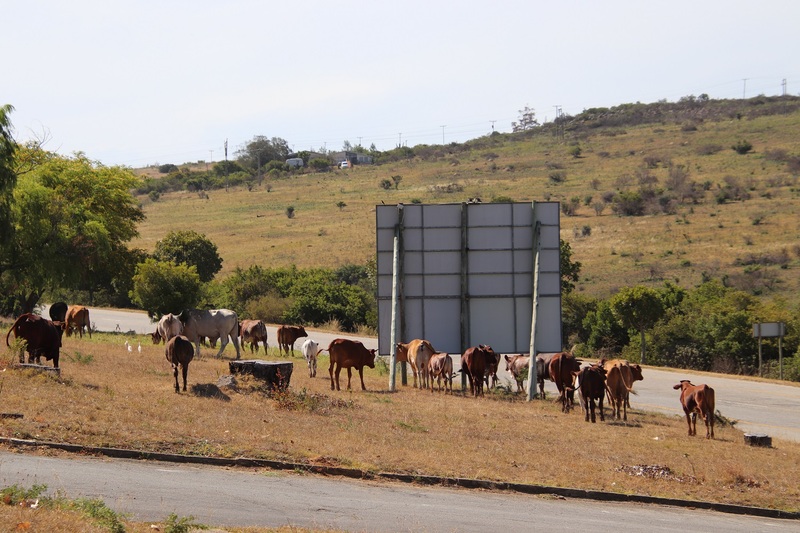 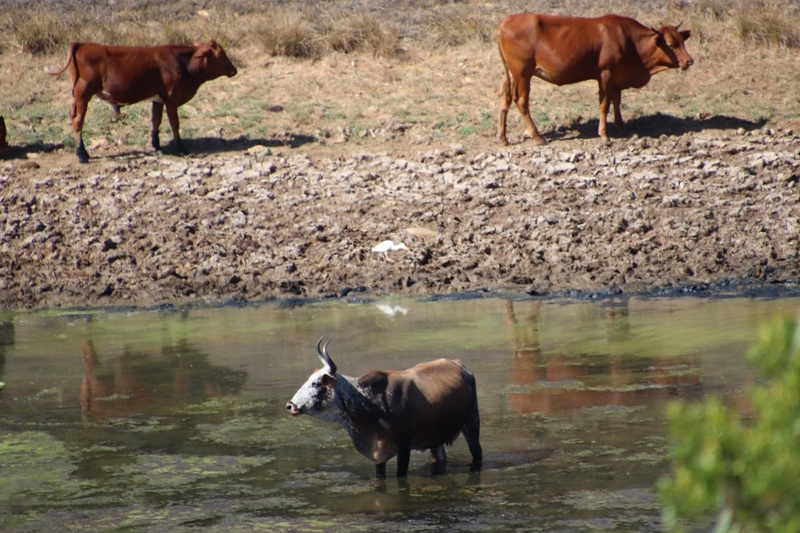 We saw them elsewhere in the town a week later: cow and calf appear to be thriving.